Welcome to the Compact Universe Newsletter. What is the Compact Universe? The Compact Universe is space opera, but it's not. 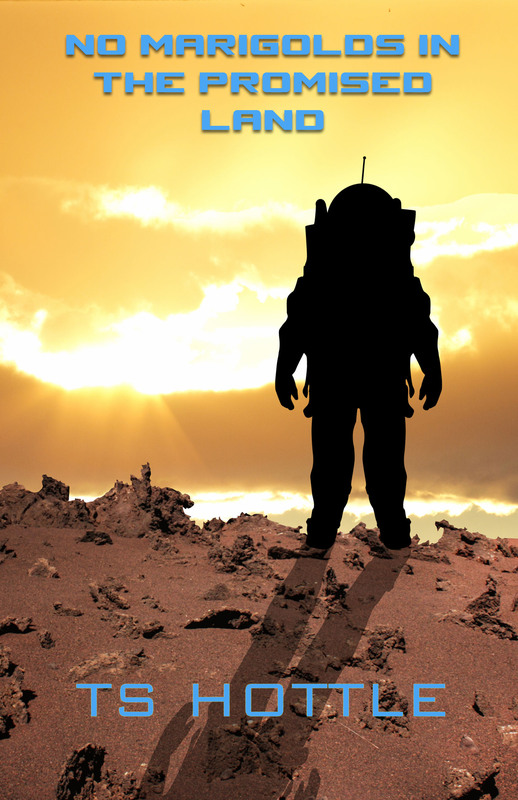 It's a bold look at humanity's future, but it's not a retread of Star Trek. It's everything Robert Heinlein wanted to do, only it's not a pale rewrite of Starship Troopers. It's Game of Thrones meets Battlestar Galactica with a little bit of X Files thrown in for good measure. 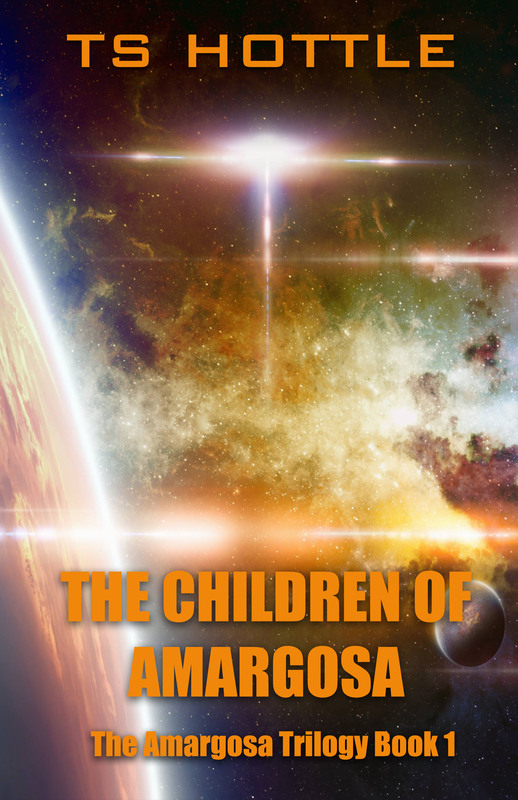 Within the Compact Universe is the Amargosa Trilogy, beginning with The Children of Amargosa. Aliens known as the Gelt brutally seize the distant farming colony of Amargosa in a single night, killing the inhabitants in a ploy reminiscent of War of the Worlds. Davra Andraste, a teenage girl living on the planet's only orbital station, is hurled to the surface before her home is destroyed and soon finds herself racing with four other kids, escaping alien battle wagons, wildlife, and even a nuclear blast to link up with the resistance. Hundreds of miles away, a runaway from Earth named JT Austin goes from reluctant farm hand to soldier in a single evening. He and his girlfriend Lizzy are the only survivors of Lizzy's family farm and flee to the safety of her father's wooded retreat, only to find themselves drafted into the resistance. Many more will die, and life as they know it is over. They will, however, do anything to save Amargosa from the Gelt. And an all-too-human enemy named Kray. Find out more here. If you sign up now, you will receive free the novella No Marigolds in the Promised Land. John Farno is stranded. In events alluded to in The Magic Root, Farno wakes up to discover he's the last man on a Mars-built colony called "Barsoom." And he has to not only find a way to survive but to talk to the Compact and get off this mud ball. For him, help is 40 light years away and might as well be in the next galaxy if he can no longer communicate. The ebook will contain all the latest installments up to the date you sign up. Then, every two weeks, a new installment will come with the newsletter. It's an exclusive you can only get for signing up! The Magic Root - Kai and Tishla run a distant colony for a polity known as The Realm. They have a food problem, one a helpful alien named Marq wants to solve. His solution involves a potato. Then interstellar war. The Marilynists - Meet Douglas Best, agricultural minister for the backwater world of Jefivah. Best has managed to give his world three colonies of their own. Only seven nuclear weapons go missing from one, and the Navy blames him for their disappearance. His only hope t avoid prison is a cult to a long-dead actress, Marilyn Monroe. Gimme Shelter - A prelude to The Children of Amargosa, JT Austin runs away from his wealthy mother's home on Earth, hoping to reach Tian, the most prosperous world in all humanity. Instead, he ends up on the farming colony of Amargosa, literally at the edge of nowhere. There, JT is, by his parents' design, stranded while he is forced to do something he's never done before in his life: Work hard. He becomes a farm hand, but he's also in the sites of a would-be warlord convinced of aTishn impending invasion and a farmer's daughter convinced he's her man. Broken Skies - In the aftermath of Amargosa's fall, Quentin Austin loses most of his fleet in a failed mission of liberation. While he awaits his fate, he is assigned to investigate Juno, a company whose presence on three lost colonies preceded there downfall. And someone is willing to kill Austin to keep him from finding the truth. Warped - True FTL becomes a reality, powered by the sarcasm of a genius dwarf. Hideki Okada is the nerdish captain of the Challenger, the first warship to use the Albubierre drive. The mastermind behind the drive is Okada's long-time friend, Peter Lancaster, whose lack of height makes him a novelty in an age of designer genes and nearly miraculous medicine. Okada and Lancaster are assigned a mission of mass destruction, but two admirals buck the chain of command to warn them that there's more at stake that humanity's first warp drive not being ready for prime time. Tishla - Tishla is responsible for the destruction of Gilead and its transformation to Hanar. But she is the only one who can save the humans her husband once conquered. Struggling to right a grievous wrong, she bargains her own life in an effort to build a new world between two warring species. But someone wants to kill her and the unborn twins key to her rule. For Tishla, revenge is not a personal vendetta. It's a matter of life and death for those looking to her for salvation. You can change your mind at any time by clicking the unsubscribe link in the footer of any email you receive from us, or by contacting us at tshottlewriter@gmail.com. We will treat your information with respect. For more information about our privacy practices please visit our website. By clicking below, you agree that we may process your information in accordance with these terms. WE DO NOT RESELL YOUR EMAIL ADDRESS! EVER!